THE CONTORTIONIST remade the rules within emerging genres like Deathcore and Djent with their early releases as they evolved beyond scenes and categories, even as they were integral enough to be instrumental in defining them. Now for their second full-length “Intrinsic” the band teamed up with producers Eyal Levi (DAATH, JOB FOR A COWBOY) and Jason Suecof (TRIVIUM, DEVILDRIVER) to help them capture their at once complex yet defiantly easy-to-connect-with esoteric material, which shatters the boundaries of conventional heavy music note-by-virtuosic-note. The Prog Metal alchemists from Indianapolis, Indiana (USA) conjure the kinetic texture of RUSH, the cinematic musicality of DREAM THEATER, the heavy but heady metallic might of jazzy Death wizards CYNIC and the studied experimental precision of BETWEEN THE BURIED AND ME while simultaneously fashioning an overall sound uniquely their own. 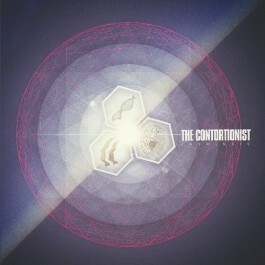 THE CONTORTIONIST have achieved a career defining milestone with their brand new defying feat of agility dubbed “Intrinsic”!